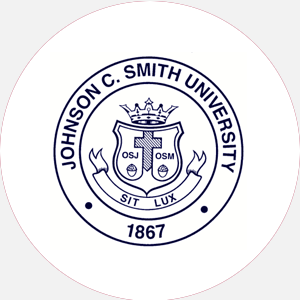 Johnson C. Smith University (JCSU) is a four-year, private, coed, liberal arts institution that is a…. Johnson C. Smith University (JCSU) is a four-year, private, coed, liberal arts institution that is affiliated with the Presbyterian Church. Founded in 1867 as Biddle Memorial Institute, JCSU is one of the oldest historically black institutions in the United States. The first baccalaureate degrees were awarded in 1872, and the name was changed to Biddle University in 1876. The present name was given in 1923. Originally intended as an institute of higher learning for men, it became coeducational in 1941. JCSU’s mission is to provide an environment in which men and women may realize their individual potential for intellectual, social, spiritual, emotional, and physical growth and well being. JCSU carries out this mission by providing exciting, relevant, and future-oriented curriculum and programs. The University also looks backward to celebrate the unique heritage of blacks by instilling racial and ethnic pride as students learn about their history and the unique achievements and contributions of black Americans. JCSU helps its students to understand and adopt a sense of social consciousness and civic responsibility. The School boasts that it is one of the best kept secrets in higher education. The 100-acre campus houses forty-six buildings. Biddle Memorial Hall, an historic landmark with Romanesque revival architecture, adds a traditional flavor to an eclectic mix of different architectural styles. Johnson C. Smith University is accredited by the Southern Association of Colleges and Schools (SACS) to award the Bachelor of Science and Bachelor of Arts degrees. 2000–01 FINANCIAL AID–INSTITUTIONAL FUNDING Percentage of students receiving financial aid: 92 Financial Aid Specific to the School Army, Air Force, or Navy ROTC program(s) offer two- and three-year scholarships that pay tuition, fees, books, and other expenses, and provide a monthly stipend. Students should contact the ROTC Office on campus. Rolling admission; July 1 (fall); December 1 (spring). Graduation from an accredited high school (or equivalent) and completion of the following units: 4 English, 2 mathematics, 1 science, 2 social sciences; a minimum 2.0 high school GPA; non-refundable application fee is required. Admission Application Deadline: Rolling admission; July 1 (fall); December 1 (spring). Admission Contact: Director of Admissions, lst floor, Biddle Hall, Johnson C. Smith University, 100 Beatties Ford Road, Charlotte, North Carolina 28216; Telephone: 704-378-1010; Toll-free: 800-782-7303. A minimum of 122 hours with a 2.0 GPA and completion of the core requirements, including six mathematics, eight science, six foreign language, and one computer course for majors in biology, business, chemistry, and math. Total enrollment: 1,357 In-state: 258 Full-time undergraduates (men/women): 540/757 Part-time undergraduates (men/women): 29/31 Ethnic/racial makeup: African American, 1,330; Other/unclassified, 27. Campus Services: Health clinic, personal and psychological counseling, career counseling and placement, remediation, tutoring, and religious activities. Campus Activities: Social and cultural activities include theater, art exhibits, concerts, chorale, band, and dance. Chess, film, and photography clubs and activities are available. Interested students may work on the JCSU Student News (student newspaper) or The Bull (yearbook). Communication majors or volunteers can work at the student-run radio station. Leadership opportunities are found in the Student Government Association or numerous other student-run organizations, including the Residence Hall Council and the Pan-Hellenic Council. Greek sororities include Alpha Kappa Alpha, Delta Sigma Theta, Sigma Gamma Rho, and Zeta Phi Beta; fraternities include Alpha Phi Alpha, Kappa Alpha Psi, Omega Psi Phi, and Phi Beta Sigma. Honor societies are also represented on campus. Housing Availability: 980 housing spaces; eight resident halls; honors housing. Off-campus residence is permitted. Handicapped Services: Some facilities are wheelchair accessible.